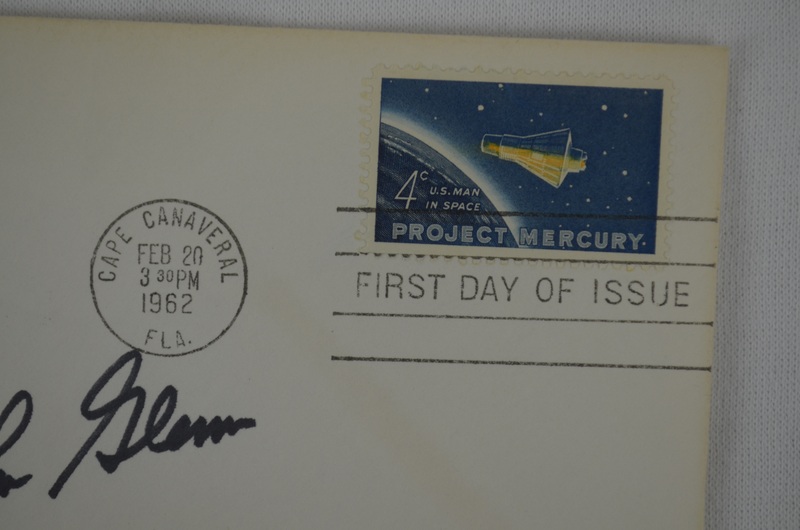 This First Day Cover dated February 20th, 1962 has been signed by John Glenn in black pen. Glenn was a United States Marine Corps aviator, engineer, astronaut, and United States Senator from Ohio. 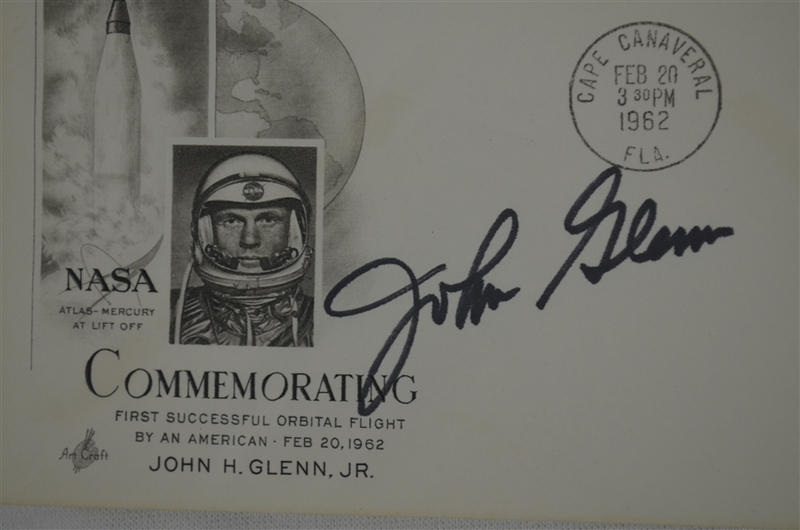 In 1962, he became the first American to orbit the Earth, circling it three times. 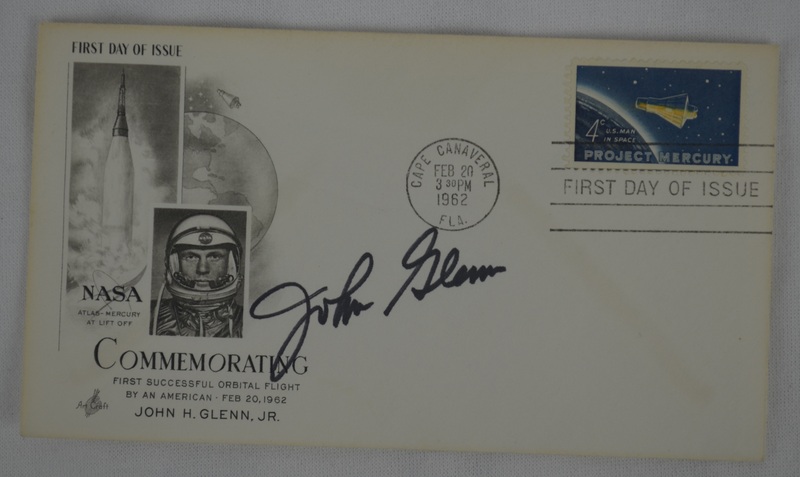 On February 20, 1962, Glenn flew the Friendship 7 mission, becoming the first American to orbit the Earth, and the fifth person and third American in space. He received the NASA Distinguished Service Medal in 1962 and the Congressional Space Medal of Honor in 1978, was inducted into the U.S. Astronaut Hall of Fame in 1990, and was the last surviving member of the Mercury Seven.